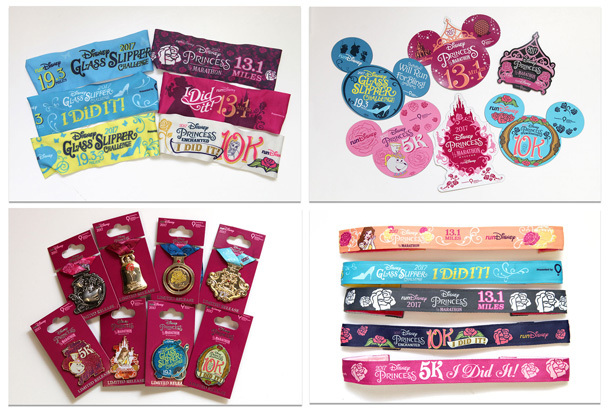 Runners participating in this weekend’s Princess Half Marathon Weekend at the Walt Disney World Resort will have a chance to pick up merchandise inspired by Belle, Cinderella, Aurora and many other Disney Princesses. 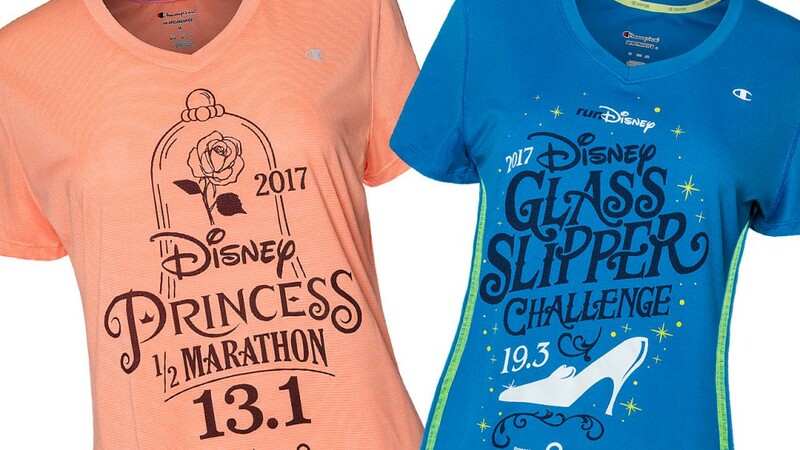 For the Princess Half Marathon, much of the merchandise (and the race medal) is inspired by the animated classic Beauty and the Beast, including shirts, jackets, tanks, and running shorts. 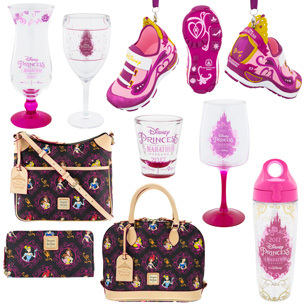 As expected, new merchandise for the Disney Glass Slipper Challenge includes a nod to Cinderella’s missing footwear. 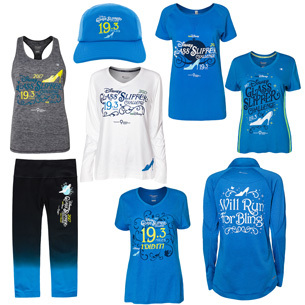 In this line you’ll find jackets, tanks, shirts, and running pants. 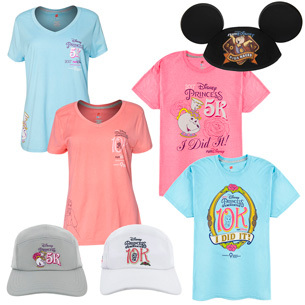 Merchandise for the Disney Princess 5K, the Disney Princess Enchanted 10K, and the Kids Races will also be available. 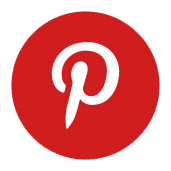 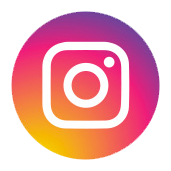 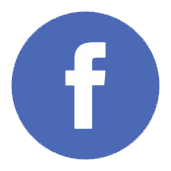 Several new choices in drinkware, a running shoe Christmas ornament, and a new line of Dooney & Bourke handbags, car magnets, pins and headbands inspired by the race weekend will be released as well. 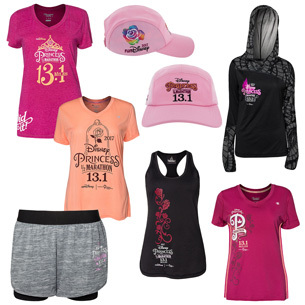 All the new merchandise will be available at the runDisney Health & Fitness Expo at the ESPN Wide World of Sports Complex. 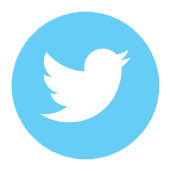 The Expo will be open Thursday from 10am to 8pm, Friday from 9am to 7pm, and Saturday from 9am to 3pm.